Photo courtesy of Barre Forte. Amy O’Connell, Nadia Walker and Sarah Brittenham are out to prove that fitness classes incorporating a ballet bar are not going away. The three are co-owners of Denver-based Barre Forte, which is adding five new studios this year and planning as many as 10 more in 2019. Nadia Walker founded Barre Forte in Denver in 2012. By the time O’Connell and Brittenham bought into the business at the start of this year, the brand was up to four locations in the metro area, along with two in Wichita, Kansas. Unlike other fitness chains, such as Portland-based Barre3 and Denver-based Pure Barre, Barre Forte opts to license out its brand and fitness model instead of franchising. 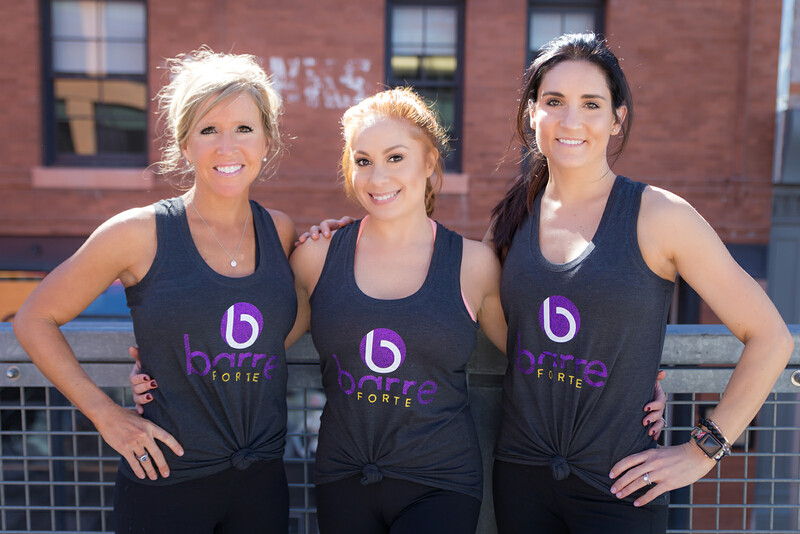 Barre Forte licensees get rights to use Barre Forte’s logos and branding materials, barre certification, guidance on site selection, and hiring and marketing. One of the studios slated for 2018 opened in July, in Edwards. Three others — in Colorado Springs, Frisco and Rapid City, South Dakota – are expected to open this fall. The women opening those studios are licensing the brand. O’Connell and Brittenham themselves will open the fifth studio of 2018 in Washington Park, for which they are negotiating a lease. Barre Forte charges licensees $21,500 to open a studio, plus 6 percent of gross sales. O’Connell and Brittenham said most studios are between 900 and 1,200 square feet, and studio owners typically invest between $50,000 and $100,000, which includes the licensing fee, to open. The licensing structure allows for flexibility, the women said. The owner of the Colorado Springs studio, for example, also will offer Pilates classes. Each studio hires between eight and 12 teachers. Finding the right teachers is the most challenging part of the business, the women said. Barre Forte monthly memberships range between $125 and $175.